6IXTY8IGHTwas founded in 2002 by ErikRyd, a Swedish entrepreneur with an established lingerie manufacturing businessin Asia. Erik saw a gap in the market for a youthful andenergetic lingerie brand. He seized the opportunity by successfully launchingthe first ready-to-wear fashion lingerie collection in Paris with MarieDestombe, a French lingerie designer. In 2003, Erik set up 6IXTY8IGHT’s headquarters in Hong Kong and firststore in Beijing, with much success. In 2006, the brand expanded beyond its lingerie range, to include tops, pants,dresses, denim, nightwear, loungewear and accessories. It sealed the brand’sstatus as a girl’sfavourite shopping destination.Splashed in 6IXTY8IGHT’s signature shade of pink, each store isa haven for girls. 6IXTY8IGHT is now one of the fastest growing fashion brands in Asia, with morethan 150 stores across China, Hong Kong, Macau, Taiwan, South Korea, Singapore,and counting. 6IXTY8IGHT continues to strive for more through a seamless retailexperience, both in its brick and mortar stores and online platforms. 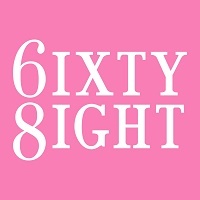 The name ‘6IXTY8IGHT’ has its origins in Chinese numerology,where the Cantonese pronunciation of the numbers 6 and 8 together have phoneticsimilarities to the term “FOREVER LUCK!”.